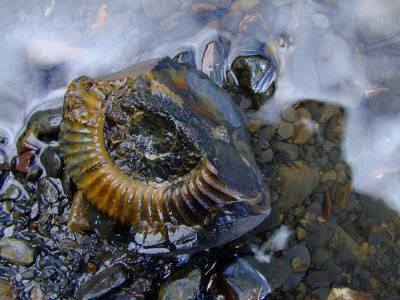 1) Fossils such as fish eating or giving birth appear to have been frozen in time without warning. 2) Fossilized jellyfish must have been rapidly buried because their soft bodies float and decay within hours of death. There are millions of fossilized jellyfish. 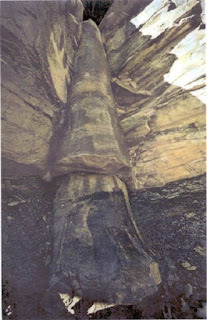 3) It is not possible for trees to remain vertical for thousands of years while layers form around them. Yet we see thousands of them. 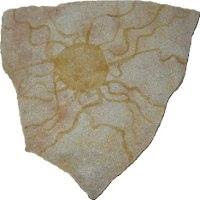 5) Water current indicators (such as ripple marks) preserved in rock layers show that water currents were consistently flowing from northeast to southwest across all of North and South America supposedly for "300 million years” Impossible! The only way this could occur is over a few weeks during a global Flood. 6) Rocks do not normally bend; they break because they are hard and brittle. But in many places we find whole sequences of strata that were bent without fracturing, indicating that all the rock layers were rapidly deposited and folded while still wet and pliable before final hardening. 7) We find evidence of rapid erosion, or even of no erosion, between rock layers. 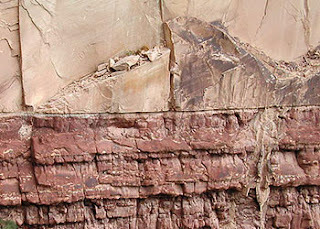 Flat, knife-edge boundaries between rock layers indicate continuous deposition of one layer after another, with no time for erosion. For example, there is no evidence of any “missing” millions of years (of erosion) in any rock layers. 8) The sheer size and extent of the layers tells us that they could not have been formed by rivers, nor river deltas. That's because many of the "layers" are quite thick and cover literally thousands of square miles. One example is the Coconino Sandstone, this sandstone is conservatively estimated at 10,000 cubic miles (41,700 cubic kilometres). That’s a lot of sand! 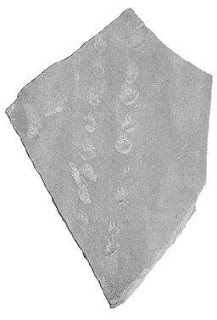 9) A thorough research into the fossilized trackways (footprints in sandstones) showed that all but one had to have been made by animals moving up cross bed slopes. Furthermore, these tracks often show that the animals were moving in one direction while their feet were pointing in a different direction. It would appear that the animals were walking in a current of water, not air. 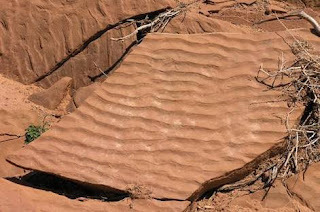 Other trackways start or stop abruptly, with no sign that the animals’ missing tracks were covered by some disturbance such as shifting sediments. It appears that these animals simply swam away from the sediment. Many of the tracks have characteristics that are ‘just about impossible’ to explain unless the animals were moving underwater. 10) All fossils, including those in the lowest layers, appear abruptly and fully formed, showing no sign of evolution. 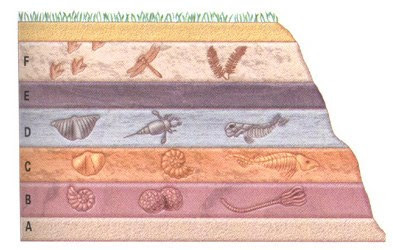 11) The evolutionary "ancestor" should be at the lowest strata level if evolution was such a thing. However, many times the evolutionary “ancestor” is found in higher strata. 12) What happens to a fish when it dies? It either floats to the surface or sinks to the bottom where it decays and is eaten by scavengers. 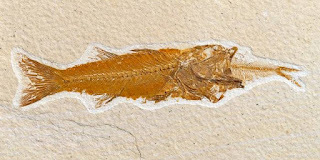 Yet many fish fossils are so exquisitely preserved that even the scales and organs are preserved. Obviously there was no time for decay and bacterial action. Experiments with fresh dead fish have shown that dead fish in water will disintegrate and their skeletons will fall apart in less than one week! 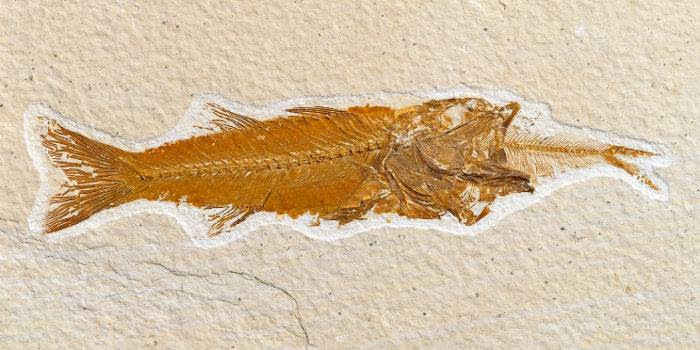 The abundant remains of intact fossil fish skeletons indicate rapid burial sufficiently deep to prevent oxidation, bacterial decay, and breakage due to feeding by other animals. The burial of great quantities of animals together. Rapid burial and excellent preservation. The presence of species now limited to different continents. The position of mammals that suggest death by drowning. Geological processes as seen in the modern world cannot account for such unusual conditions. 14) How about the mixing of widely diverse animals from different geographical areas and habitats? Open ocean fish, bottom dwelling fish, freshwater fish, and sharks along with plants are all mixed together. How could such unusual mixtures be brought together and buried except by unusual catastrophic transport by water? 15) Stones that are rolled around by waves or currents become rounded and are called wash rock (also called conglomerate). Conglomerate beds are common all over the world. However, no similar deposits of this extent are being produced in the world today...? 16) Even most volcanic mountains with their pillow lavas seem largely to have been formed when under water. On Mount Ararat, for example, pillow lava is found at the 14,000 foot level! Evolutionists have difficulty explaining away these evidences for Noah's flood. In fact, Peter actually told the early Christians that in the last days people would scoff at the idea of a global flood and be willingly ignorant of it - implying that the biblical flood and its evidence is known of, but rejected and ignored. That's exactly what evolutionists do.